UPDATE: due to the popularity of this event, we've moved the party from the Stardust Lounge/Suite to The Venue - as it holds 3x as many people. The Venue is on the casino floor, across from the Medley Buffet. Sean Hawkins (Speakers) VP of Development, HawkSoft, Inc.
Sean and Paul will be discussing recently rolled-out and new up-and-coming features to the HawkSoft CMS Platform. Linda Anderson (Speaker) North Central Regional Sales Manager, HawkSoft, Inc. The Digital Office: Text Messaging, Paperless, Etc. Ruben Hurse (Speaker) Senior Database Management Specialist, HawkSoft, Inc.
Great leaders embrace the concept of servant leadership asking nothing of their team they haven't already done or aren't willing to do themselves. Royal Spragio (Speakers) Chief Operations Officer, Beacon Insurance Services, Inc.
Commercial Lines - Totally Bodacious Hacks You Can't Miss! Crystal Erlitz (Speaker) Manager, HawkSoft Managed Accounting Services, HawkSoft, Inc.
A session focused on demonstrating the power and usefulness of QuickBooks for insurance accounting. 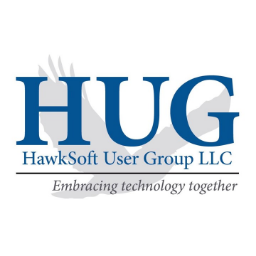 This session will focus specifically on QuickBooks, with only minor contact into the HawkSoft system. Matthew Langlinais (Speakers) Executive Producer, Beacon Insurance Services, Inc.
Jake Dunbar (Speakers) Director of Implementation, HawkSoft, Inc.
7 specific ways to use HawkSoft to make an agency more successful. Co-presented with Matthew Langlianas. We will cover how to create receipts in HawkSoft. How do you go to the carriers website, make a payment, and then upload the screen shot to HawkSoft? Seems like many continue to focus on pursuing massive amounts of new business/applications from sources outside of your existing book of business and it continues to flow faster than you can handle....right? Paul Moyes (Speakers) Director of Sales, HawkSoft, Inc. Discussion on how Sales & Retention is designed and intended to work, a look at the underlying logic, and best practices for getting good data. The saying, "garbage in garbage out" lets switch it up. Sean Hawkins (Speaker) VP of Development, HawkSoft, Inc.
Kenny Hendricks (Speaker) Marketing Coordinator, HawkSoft, Inc. Simplifying certificates in your agency…. From the five base policy types all the way through coverage details, together we'll discuss the best way to complete Policy/Company Setup to get the most out of your companies. Yes, you can attract and convert more of the customers you want through search engine optimization...and you don't have to be a code-slinging, wand-waving webmaster to do it. Overview: P&C Davids can beat Goliath online. In this session, you will learn 6 "How-To's" you can start doing tomorrow. Join us for a few minutes before you head out to dinner for the evening. 1 Drink ticket provided, along with a light snack. Compliments of our vendor and reception sponsor, Podium. You will learn step by step how the formula of E + F = C and R + T will result in MFT. Money Follows Trust! In many ways in business, there is “nothing new under the sun”. In this session we dig deep into your bottom line, the meat, the numbers of your agency business. Numbers don’t lie. Lunch and in Exhibit Hall. Rushang Shah (Speakers) Board Member, Director of Marketing, HawkSoft, Inc.
Kenny Hendricks (Speakers) Marketing Coordinator, HawkSoft, Inc.
You are welcome to move from one Q&A to another throughout the hour. Crystal Erlitz (Speakers) Manager, HawkSoft Managed Accounting Services, HawkSoft, Inc.
Cal Durland, CPCU (Speakers) Interface Optimization Director, IVANS Insurance Solutions, a division of Applied Systems, Inc.
Linda Anderson (Speakers) North Central Regional Sales Manager, HawkSoft, Inc.
General Q & A. No question is too big or too small. It's time to get clarification on things you have been wondering about. Make your way back to the ballroom! Don't miss it! Let's give the Las Vegas Rescue Mission a HUG and a LOT of HawkSocks! Don't forget to bring your sock donations to the conference! Thank you!! Engaging your customers so that you can completely dominate your marketplace! THANK YOU FOR COMING TO HUG NATIONAL 2019!! Hope to see you at National 2020! Download the Whova app to reserve your seat!